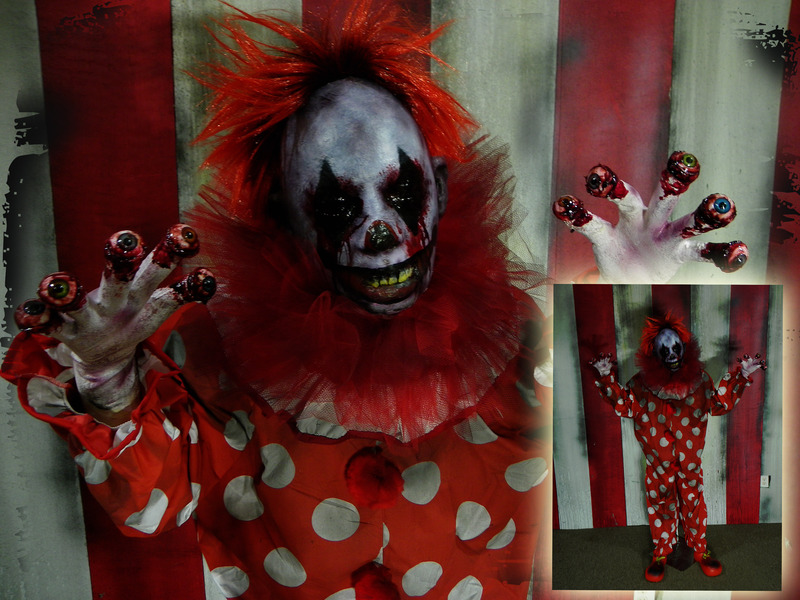 NEW 2014 PEEPERS THE CLOWN LIFE SIZE FEAR FLEX PROP. THE ULTIMATE IN CREEPY CLOWN PROPS, PEEPERS HAS SOUL-LESS EMPTY SOCKETS AND EYEBALLS ON HIS FINGER TIPS. COMES WITH METAL BASE AND STAND.